1.89 MB, 1080x1920px, 7.3 secs. 33.77 MB, 1080x1920px, 7.3 secs. Two wine flutes filled with champagne. 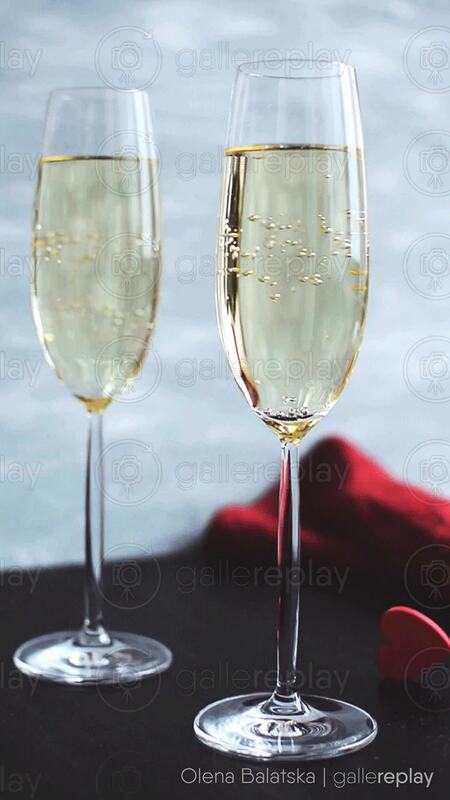 Bubbles rise to the top of the glasses.